This versatile jumpsuit is perfect for dressing up or down. 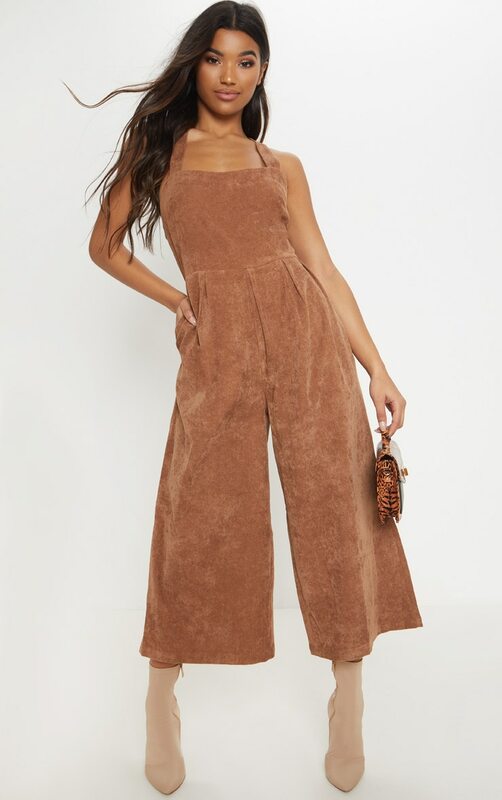 Featuring a camel corduroy material with a wide-leg fit and a pocket detail. Team this with heeled boots and a small bag for a day to night look.